Selecting the right mix of strategic innovation projects means balancing limited resources, navigating competing priorities, and accepting that there are no one size fits all formulas for innovation success. Managers need to continually adapt their project pipeline to reflect the real-world constraints unique to their market and organization, and they need to leverage different strategies depending on the types of projects they take on. 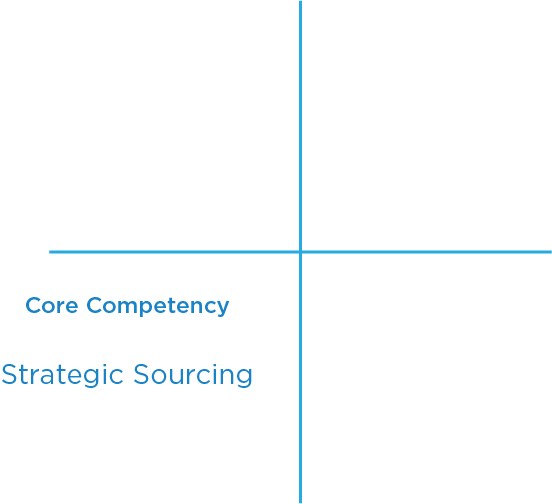 Sorting projects into these quadrants will help managers allocate resources, set expectations, and determine pipeline mix. First, though, you need to understand how to score potential projects. An idea without a plan is just a wish. Ideation exercises, internal submissions, and product initiatives often produce little more than an initial idea for potential projects down the road. It’s the innovation managers job to determine the utility of these ideas by reviewing the difficulty of commercialization, and there are many factors to consider. For example, is the proposed project closely related to the company’s core business capabilities? Is there an existing supply chain that can support this project? What about manufacturing capacity, distribution channels, can engineering handle the technical aspects of the project or will R&D need to be involved? Listing the organizational barriers will help managers sort the easy projects form the moonshot initiatives. Managers need to rank their proposed projects based on the difficulty of commercialization for their particular organization. While the commercialization axis represents a projects internal barriers, the market demand axis represents the external shot clock, ticking down as product features move from wants to must-have’s. Innovation managers need to score a potential project based where they fit on the expected demand timeline. For example, a project that produces radical changes to a company’s core offerings will likely be placed on the long-term side of the axis. 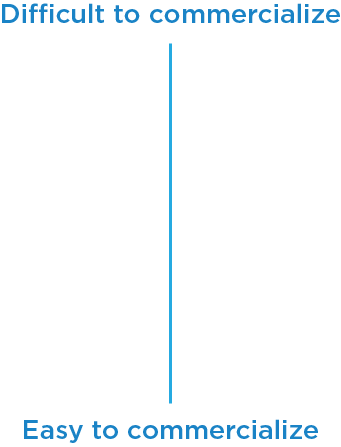 A project that simply alters current features will likely be placed on the near-term side of the axis. Now for an example matrix. Example Project Portfolio – Wellspring Coffee Inc.
To illustrate the innovation project matrix we will use the example of a mid-sized national coffee company, Wellspring Coffee Inc., and four proposed innovation projects: chocolate flavored coffee beans, IoT-linked coffee machines, customizable flavored coffee beans, and AI-powered home baristas. The first project we will categorize is chocolate-flavored coffee beans. For the sake of this example, lets say that the technology to make chocolate-flavored beans is well known, easy to adapt, and there are existing suppliers, distributors, etc., making the commercialization difficulty of this project low. Furthermore, consumers already purchase large quantities of chocolate-flavored beans from another vendor, demonstrating a strong current demand. This project is an easy, incremental innovation project. Core competency projects are often short-term, frequent, and necessary to keep an existing product line up to date with shifting consumer demands. As a result, these projects require minimal oversight from the innovation team, but innovation teams can still contribute to incremental projects by identifying and evaluating strategic suppliers, in fact many innovation teams dedicate a significant amount of budget to identifying new strategic suppliers for core competency projects. Lets say that based on market trends analysis, Wellspring Coffee Inc. has determined that IoT capability will be a must-have feature in the very near future. However, the internal know how, technical capabilities, and support structures for IoT linked devices fall largely outside the knowledge boundary of the firm. Selecting the right technology, organizing the supply chain, and managing the commercialization of this project will require large amounts of time and money. If the innovation team fails to act quickly enough, however, they will likely miss out on a major market trend. For Closing Window innovation projects managers need to consider their options carefully. The technical barriers are probably greater than an internal team is capable of handling, and the short timeline makes internal development unlikely to succeed. 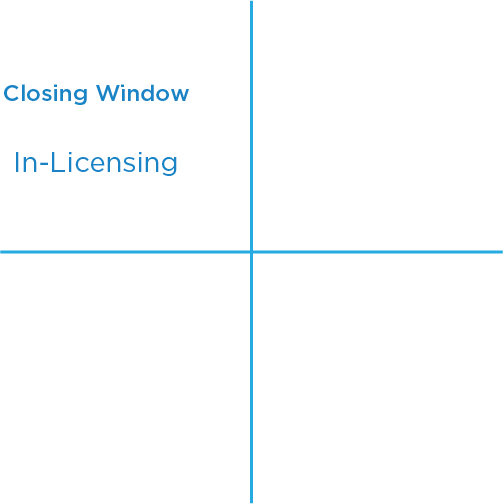 The best approach for Closing Window projects is external licensing, ideally from market tested start-up or inventors. The innovation team should focus on identifying new companies that are already producing similar products and license in their technology and know how. Wellspring Coffee Inc. managers understand that IoT machines are quickly becoming a necessity for consumers, and they are behind the trend. To preempt the next demand wave they have decided to focus on what they believe to be the likely successor to IoT, an AI powered home barista. This project is both technically difficult, and far along on the demand timeline. However, exploration projects like this help innovation teams understand trends before it’s too late, positing the company for greater success down the road. 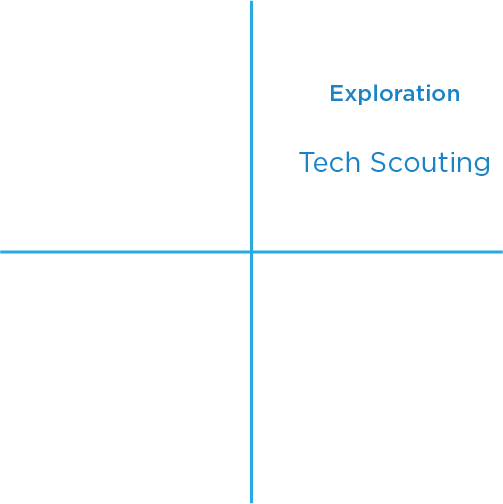 The exploration quadrant should be a priority for all innovation teams, and managers need to adopt strategies that match the unique challenges of difficult, long-term innovation initiatives. Technology landscaping, or the collecting large amounts of data on emerging technology to spot early trends, is a critical tactic for exploration projects. Technology scouting, or the targeted search, evaluation, and acquisition of emerging technology is an equally useful tactic. Either way, innovation teams need to dedicate resources to monitoring nascent technical discoveries that can be applied to future products. As Wellspring Coffee implements the core competency project of flavored coffee beans, the team will also look for longer term trends and adjacencies that they could exploit in the future. There are several promising studies from universities that have begun producing beans that consumers can customize to form any flavor. The effort needed to adopt something like this isn’t very high, but the project doesn’t fit neatly onto the demand timeline. In short, this project is doable, but could be a waste of resources if demand shifts elsewhere. Rather than risk a full development cycle for products that may never meet consumer demands, innovation teams can hedge their bets by working with corporate venturing units, or by spending money on joint development agreements. CV investments allow teams to engage adjacent innovation projects without committing to a long term development. 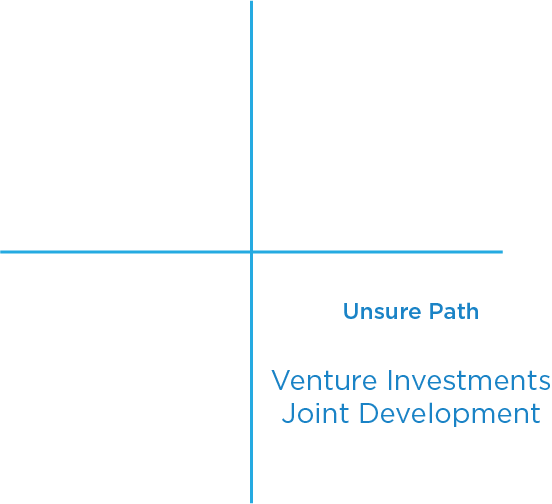 Projects in the unsure path are prime targets for strategic investments. Joint development agreements are similar to CV investments, but generally offer a longer timeline and more complicated IP sharing down the road. Either way, innovation teams should leverage these strategies as low risk, high potential options.